The Mercedes-Benz Concept EQ embodies the future in the car and sport utility vehicle development of its brand. 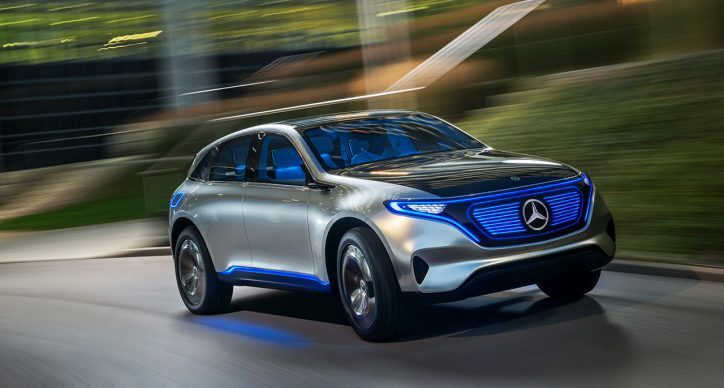 However, Mercedes is in danger of losing the rights to use the “EQ” moniker in China after Chery Automobile slapped a trademark complaint against the giant luxury car brand. According to Fortune, Chery filed the complaint with the Trademark Office of the State Administration for Industry and Commerce in China against Mercedes over the “EQ” name. The company aims to bar the German automotive brand to use the moniker in the country. Chery claimed that they have been using the “eQ” name for their two-door electric cars. The company said they have been doing that for the past two years. The Chinese automaker’s spokesperson stated that if Mercedes uses the “EQ” name in China, it could impact their trademark rights. Chery also added that the Mercedes-Benz EQ and the Chery eQ are similar because they are both electric cars. The source noted that if the agency rules against Mercedes’ favor, it would greatly compromise their sales in the area. Based on the report, China is now positioning itself as the largest market for electric vehicles worldwide. The giant Asian nation is presently a key market for vehicles powered by new alternate energy. In fact, it has more demand than the rest of the world combined. The reason for that is because of the alarming problem the Chinese are facing when it comes to air pollution, which is brought about by its thick urban smog. Therefore, its government is strongly pushing consumers to buy green cars.